The vending experience is over for me for now, working as a route driver for my friend’s business, Chow Time Vending. I learned a lot of things in my short time with serving as a vending machine route driver, and I made some of the mistakes a lot of route drivers make when they are out there stocking machines for the first time ever. As I said before, it was a humbling experience, and I learned a great deal. In this blog today, I will share what I think is the key to good vending management. 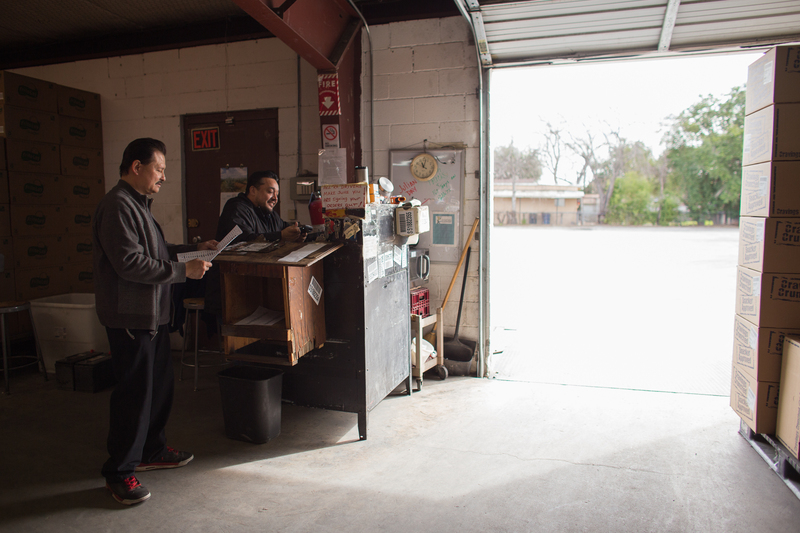 Chow Time Vending is run by a small staff, but they have over a hundred locations on a route. For a beginning route driver, to adjust to the way things have been done in the company is a challenge. There is product in three different locations, the truck, the warehouse, and then more in another truck. The warehouse, however, is filled with vending machines, so there is not much room for product. A lot of it was stacked on top of other product, making it difficult to get to most of the time. Since the staff is so small and the workload is so big, proper vending management is key to ensure a successful operation. Each morning, I would arrive early and guess at how much product I needed to load into the truck based on what machines are at what locations. I was not sure of the frequency of the machine servicing for the majority of the machines I visited. Was this one once a week? Was this one once every two weeks? A month? Everything was a guessing game, so I would base it on what product I had taken with me on the training days. There were days where I brought too little and days where I brought too much. Good vending management would eliminate the guess work, and it would optimize the whole operation. To keep expenses in order, I made sure I kept every receipt and put them in a place where they could easily be accessed, and for the collected money, I made sure to put them in a safe place every evening. I took plenty of notes on my route sheet to comment on what machines I missed, what machines had issues, and what product I needed to take for each machine once I visited them. I also researched the route the night before driving out there and took notes on which places close the earliest, which places were closest together, and how many machines were at each location and where those machines were located. In essence, I did what I could to be as efficient as possible in an effort to please vending management. However, efficiency and guesswork do not go well together, as guesswork leaves too many opportunities for mistakes, and mistakes, although great learning opportunities, lead to inefficiency. On my final day of vending, I spend roughly three hours organizing the truck and loading new product in the truck. The rest of the day went smoothly, but it was because I had invested extra time to organizing, although it is extra time that could have been used for servicing other machines. As my friend said, a good vending route driver can service up to 22 machines per day, and I was only given 13-14 machines to service, and it took me 12 hours to do it all. Good vending management practices would see the time I wasted and the inefficiency I brought. What all of this boils down to is that in order to be successful in vending management, one has to be very organized and have a keen eye for detail. One could argue that this statement could apply to running any sort of business, but it rings especially true for vending. A vending operator has to be on top of things at all times in order to have a profitable company, and they have to be detailed enough to know what each vending machine may or may not need each week. accountability, breakdown alerts, dynamic routing, inventory control, and more, all by connecting a small box into each vending machine. This information can then be accessed on the cloud by a computer, tablet, or even a smartphone. What this system does is give vending management all of the information they need to run their business efficiently at their fingertips. I remember the frustration of visiting a machine that did not need to be serviced, and with Parlevel Systems, that frustration will no longer exist for vendors. If a machine were to breakdown or get broken into, vending management will know immediately, allowing someone to get to the location, fix the problem or take out product before more money is lost. There are so many more ways Parlevel Systems can help vending machine operators run their businesses efficiently such as with cashless readers and micro markets. Vendors, there is a way to bring your vending machines to the Internet age and become much more profitable, and that way is with Parlevel Systems. If you’re interested in learning more, please feel free to contact us. We’re very excited to share with you what we have developed for you.